Discover this comfortable and highly versatile twin or double bedroom which also suits families. Choose this room if you are looking for a hotel room which can be set up as a twin or double. This beautiful room with small sitting area has a 6-foot-wide zip/link bed which can be divided into a twin. Stay in this family bedroom also if you are travelling with children aged 6 and upwards. 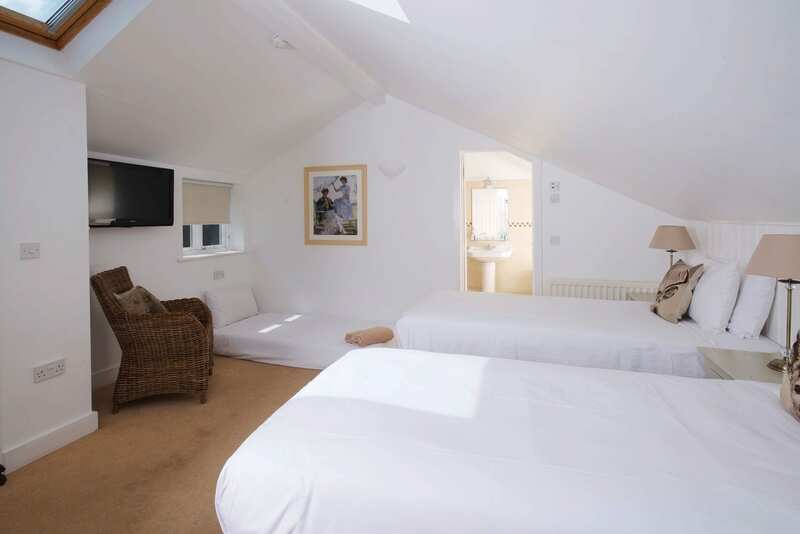 However this room is not for younger children – they may disturb hotel guests in rooms nearby. Your room has TV & DVD player (free DVD library in the bar), tea & coffee, in-room safe, and hairdryer. Iron and ironing board available. Yummy free cakes, and fresh milk for tea/coffee, are on offer in the Snug Bar. 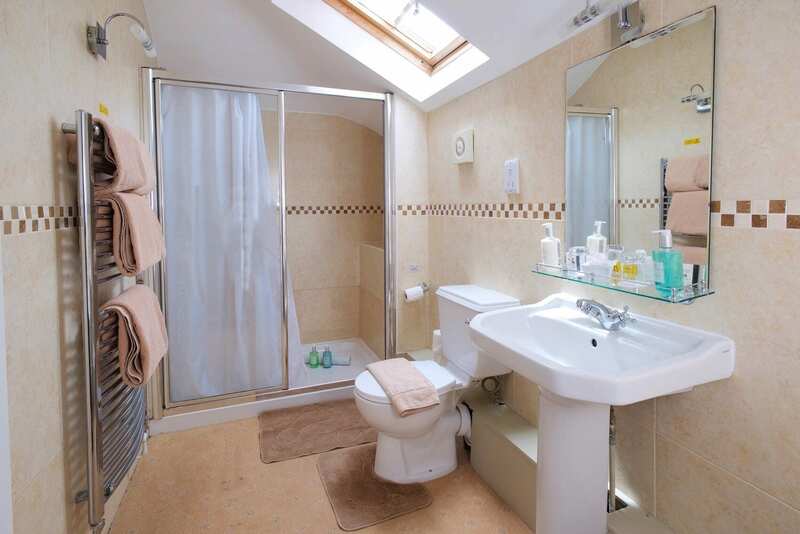 The fresh en-suite bathroom has a bath and shower with non-slip mat, toilet and towel rail; plus plenty of bath towels; and Gilchrist & Soames shampoo, conditioner, soap and hand lotion. 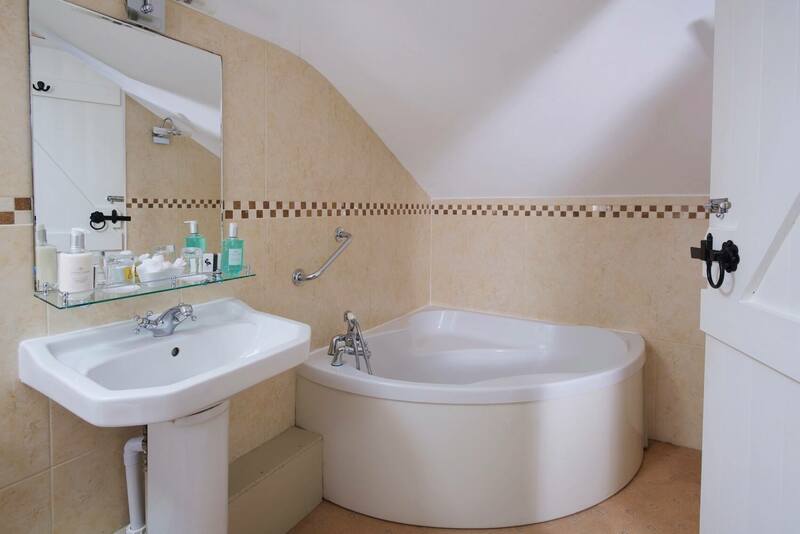 Find your first floor en suite room is up a staircase a short, level walk through the hotel. It looks over the side of the hotel and also has skylight windows. This room is named after William Ist (William the Conqueror) who founded the forest in 1079 and made it his royal hunting ground. 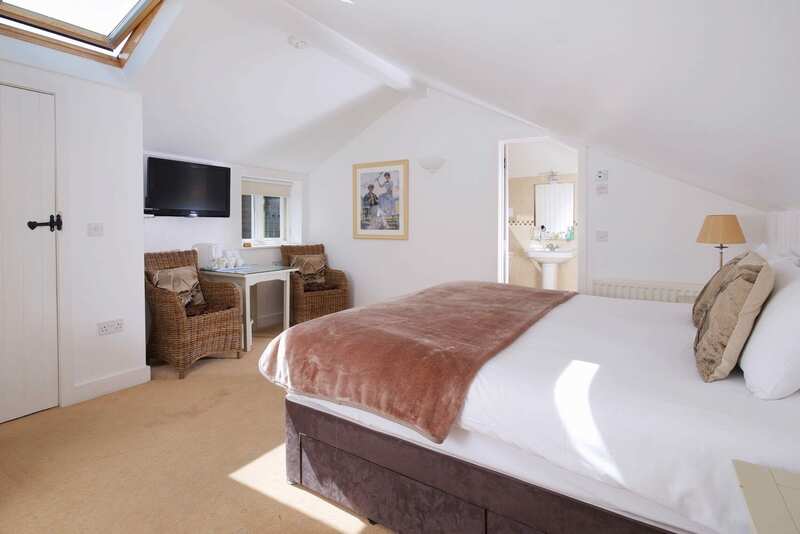 All of Cottage Lodge hotel’s 18 bedrooms are named after places in the New Forest, or people associated with the forest or the original building. Each room is unique.